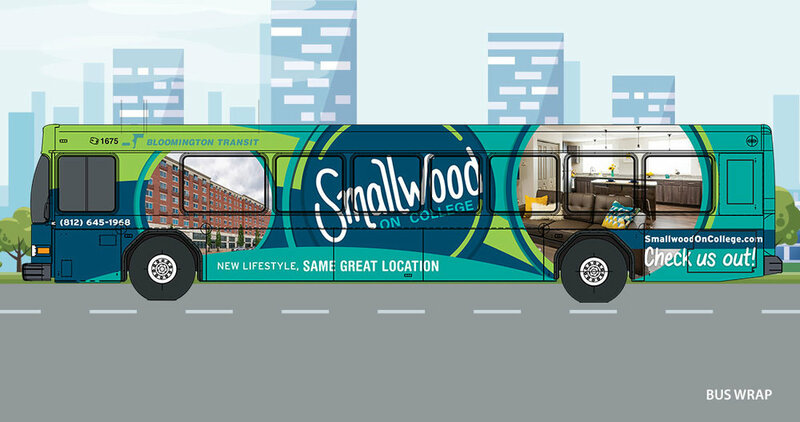 The new Smallwood on College identity is not just a name and a logo but a branding package composed of core elements that come together to create a distinctive look and feel designed to create brand equity for Smallwood on College making it instantly recognizable. The modern color palette uses navy (the new neutral) paired with a bold teal and fresh spring green for a positive, on-trend combination that compliments the energetic downtown vibe. The rebranding effort included property name, tagline, logo design, print ad, digital ads, retractable banner, outdoor banner, stationery package, brochure, social media graphics, bus wrap design, and 3D floorplans.